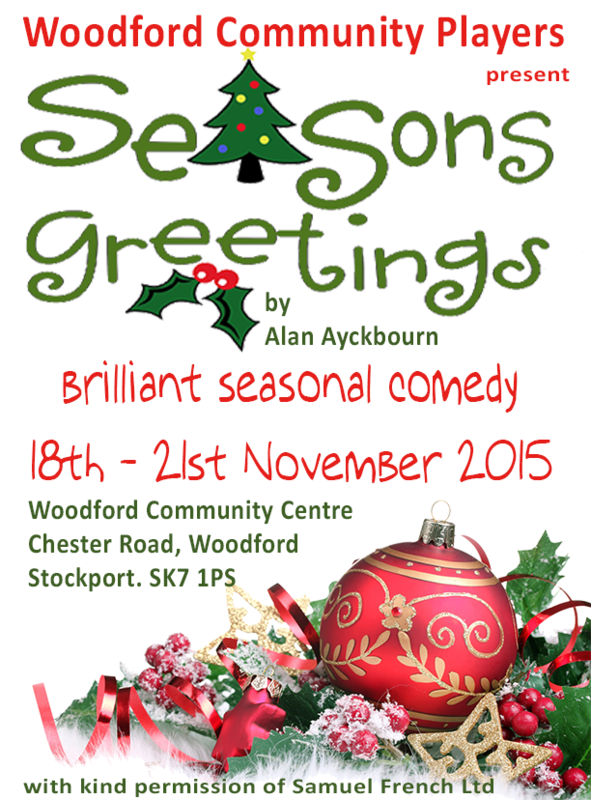 Season’s Greetings by Sir Alan Ayckbourn introduces us to Christmas at Belinda and Neville’s house and they have invited their family for a traditional Christmas celebration. The guests include: Neville’s exhausted sister Phyllis; her husband Bernard, a doctor whose annual puppet shows are the stuff of legend and terror to both young and old alike; Neville’s friend Eddie and his pregnant wife Pattie; Uncle Harvey, a slightly senile retired security guard and a television-addict; Belinda’s unmarried sister, Rachel and Clive, a writer and friend of Rachel. 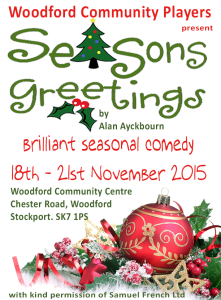 Season’s Greetings is a sometimes black and farcical comedy about a dysfunctional family’ Christmas, set over Christmas Eve, Christmas Day and Boxing Day in an average English suburban house.